Here’s the Encouragement You Need to Start Recycling Aluminum Cans! When it comes to adopting a recycling program, whether at home or in the office, one of the easiest places to start is with aluminum cans. Aluminum cans are everywhere! Not only are they common in both homes and commercial settings, they tend to get tossed in the garbage on a daily basis. This is most unfortunate since it takes more energy to mine and produce aluminum than any other metal. If you are ready to do your part in preventing such unnecessary waste, start recycling aluminum cans with these great tips! There are several types of cans made from aluminum metal. The ones you are likely to have laying around include soup cans, vegetable cans, cans of pet food, and the ever-so-popular soda cans. Over 200 billion cans are produced each year and bought in large quantities all over the nation. However, only two-thirds of that number are recycled. As mentioned, it takes more energy to mine and produce aluminum than any other metal, making its preservation critical to preserving our natural resources and abating harmful emissions that pollute our air, land, and water. Although it seems so simple to just recycle, thousands of Americans are accustomed to throwing garbage in the garbage. But it is important to understand that aluminum cans are not trash; they are valuable treasure that can be melted down, reprocessed, and repurposed over and over again. This saves an abundant amount of energy each year and reduces the need to mine raw bauxite ore. It even reduces air pollution! If you want to join the initiative of preserving our Earth’s natural resources by recycling metal, start with aluminum since it is the most available and prevalent. Whether at home or the office, designate a separate receptacle or box for recyclable cans. Be sure to label it for aluminum only, or notify your family that the receptacle if for only aluminum. Once this area is assigned and labeled, it is a great help to pass out a flyer at work to further notify and promote the aluminum recycling initiative. Include where the receptacle is located and what days it is picked up. As for home, start at the beginning of the month and collect all aluminum cans and items you use or find on a daily basis. Sodas, soup, foil, and more are all recyclable aluminum items. Collect these items all month long, then take your bulk collection to a local drop-off station or recycling company. Some even pay cash by the pound! One pound equals out to about 32 cans. The amount of money paid for aluminum cans depends on current market prices for metal. To be sure a can is made from aluminum, place a magnet on it. If it sticks, it is most likely steel. If it doesn’t stick, you’re in business! Call Zore’s Inc. at 317-247-8484 to recycle scrap metal for cash in Indianapolis, Indiana. We pay top dollar for all metals, regardless of age or condition. We buy vehicles, equipment, sheet metal, electrical wiring, computers, auto parts, power tools, appliances, and much more. And we guarantee to pay you cash on the spot! Call 317-247-8484 to make fast cash, today! 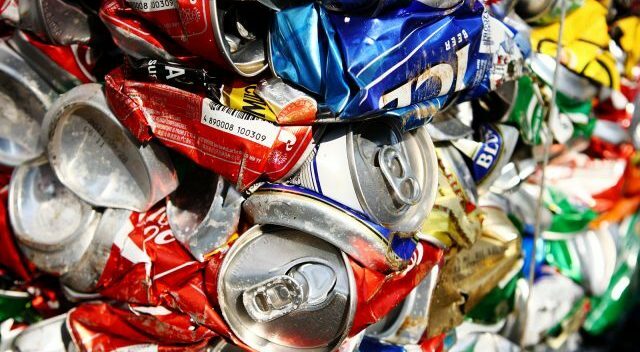 Posted in Metal Recycling	| Tagged aluminum can recycling, aluminum facts, aluminum recycing tips, aluminum recycling facts, Indianapolis scrap metal buyer, recycle aluminum for cash	| Comments Off on Here’s the Encouragement You Need to Start Recycling Aluminum Cans! In previous blogs, we have touched on important automotive and road safety advice regarding what to do when your car engine overheats. But in today’s blog, we will be discussing what you should NEVER do when your car engine is overheating. Continue reading to learn the top 3 things that can really make matters worse for you and your vehicle. The worst thing you could possibly do when your engine is overheating is to continue driving. As soon as your engine begins to show signs that it is close to overheating, you need to pull over, come to a safe stop, and turn off the ignition completely. If you continue to drive while the engine is overheating, you are putting your safety at risk. 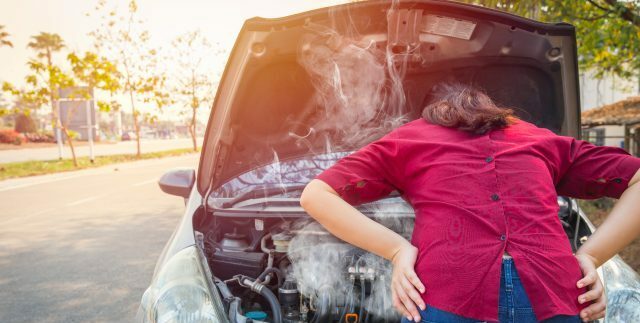 Driving on an overheating engine is not only dangerous to your safety, it can potentially cause an extreme amount of damage to several internal automotive systems, which will end up costing you more money in repairs and replacements. It may even total a car. If this were to happen, you would have to accept the insurance money for it, or sell it to a junk car buyer in Indianapolis. You should never use cold water on a hot engine. There are many things that can go wrong if you were to attempt this. First, you risk damaging the engine block and causing it to crack. Second, you risk burning yourself. You always wait for an engine to cool completely before investigating or resolving any issues. Another terrible mistake to avoid is checking your radiator fluid levels while the engine is still hot. As mentioned above, you must always wait for the engine to cool completely before moving forward. You see, a lot of pressure builds up beneath a radiator cap, which means that boiling hot fluids and steam can shoot out at high speeds, and seriously injure you. Call Zore’s Inc. at 317-247-8484 for 24 hour tow truck roadside assistance in Indianapolis, Indiana. We are a family owned and operated company with more than 75 years in business here in Indiana! We offer a wide range of services for Hoosiers, including roadside assistance, scrap metal recycling, cash for junk cars, towing and recovery, storm damage, traffic clearance, and much more. Request a free estimate, anytime. There are many signs that suggest your vehicle’s alternator is on its last leg. The most common signs involve electrical issues, such as dimmed or flickering lights, failing power seats and windows, and stereo defects. Other signs may include engine and battery problems, smell of burning plastic, or strange noises coming from the hood. If you suspect that your car or truck needs a new alternator, your top concern may be your budget. Fortunately, you have some cost-effective options for replacing or repairing an alternator. Continue reading to learn what the average cost of a new alternator can be, and how to find a fantastic deal on alternator replacement. You vehicle’s alternator is important because it turns mechanical energy into electrical energy, and recharges the battery. It is located in the engine, where it is powered by a timing chain or belt. As a vehicle is running, the alternator spins to produce electrical energy. This energy is applied to all the electrical systems, as well as, the overall operation of the vehicle. If your alternator is showing any of the above-mentioned signs, your first step is to have it inspected by a licensed automotive mechanic. They can tell you whether or not the alternator can be spared. If it can be repaired, it could be your best option depending on your personal preference and your vehicle’s age and condition. If you need a new alternator, you are looking at paying between $200 and $600, and perhaps more, depending on a few factors. 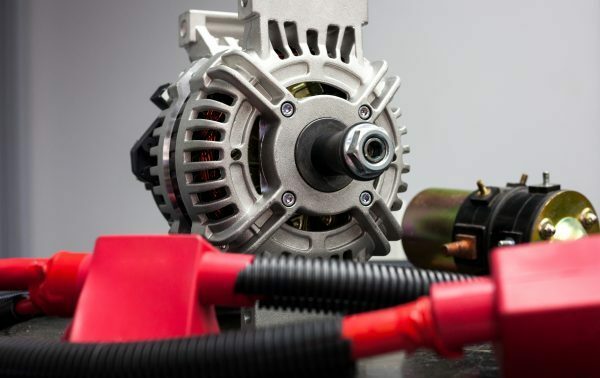 Factors that impact alternator replacement include the make and model vehicle, labor costs of mechanic, whether or not you buy a used or new part, and more. That’s right; you can save a lot of money by opting for a used and refurbished alternator, rather than a brand new one. Not only is this easier on the budget, it is great for the environment and local economy. If you decide on a refurbished alternator, you will save hundreds of dollars compared to buying new. Just be sure to choose an OEM approved product from a trusted vendor or retailer. Some reconditioned automotive parts even come with a warranty. Alternators are relatively simple to repair and refurbish, so it should not be difficult tracking one down near you. The most important part of buying a refurbished auto part is to choose a reputable auto parts store to do business with. Call Zore’s Indy at 317-247-8484 to buy top-of-the-line used auto parts in Indianapolis, Indiana. We offer a wide range of new and used car parts for all make and model vehicles, including OEM auto parts, aftermarket parts, import auto parts, domestic auto parts, late model parts, new model parts, and refurbished parts. Since we have a full-service auto body shop on our campus, we can even install it for you, same-day! Request a free inventory search for the auto part you are looking for, anytime. Appliances are not built to last forever. At some point in your life, you will likely be faced with the task of replacing one or more of your most important appliances. This includes your refrigerator. As something we use on a daily basis, it doesn’t often cross our minds to have the refrigerator serviced or inspected for problems. Most often, we do not know the fridge is malfunctioning until it starts acting up. When your refrigerator starts showing certain signs, you know it is time to replace it with a new one. Continue reading to learn the most common signs that suggest you need a new fridge, as well as, what you can do with your old one. If your refrigerator is developing condensation or frost, it could be a sign that the rubber sealing and gasket are defective. Condensation can be on the exterior or interior of the refrigerator. And although in minor cases, these two issues can be resolved, when these parts start to deteriorate, it is usually a sign of old age or extreme wear and tear. At this point, replacement would be most cost-effective. The refrigerator motor runs at all times to regulate temperatures at all times; however, the motor should not be constantly operating at maximum speed. If you notice that the refrigerator motor is always working in overtime, or it is just very loud, it could be a sign that it is about to give out for good.Keep in mind that a very quiet motor is also a bad sign, and should be looked into. Although a little bit of heat coming from the fridge is normal, anything hotter is a bad sign. This could easily be the result of a constantly running motor, as mentioned above. Sometimes this is a sign that the ventilation coils have gone bad and need replaced, while other times, it is a sign of a much larger underlying problem. 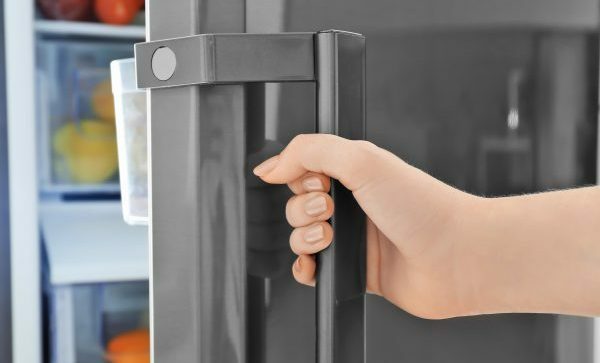 When your food seems to go bad before the expiration date, or everything is too warm, it is a common indication that your refrigerator is just wearing down. If the refrigerator climate is not 40 degrees or cooler, you may need to adjust the temperature settings. But if the knob is in the right place, it is likely that the fridge is just old and needs to be replaced. Don’t be too discouraged if your refrigerator takes a turn for the worst. Regardless of its age or condition, you can still turn it into a profit. A local Indianapolis scrap metal recycling company will pay cash on the spot for scrap metal, or any commodities with large quantities of metal in them, including appliances. You can make a quick profit from an old piece of junk, and put that money toward your new refrigerator! Call Zore’s Inc. at 317-247-8484 to sell your old, broken down appliances for cash on the spot in Indianapolis. We offer the fairest and highest cash payouts for all scrap appliances, including refrigerators, water softeners, water heaters, and more! To get fast cash for scrap metal in Indianapolis, just call Zore’s Inc. at 317-247-8484 and request a free quote today. 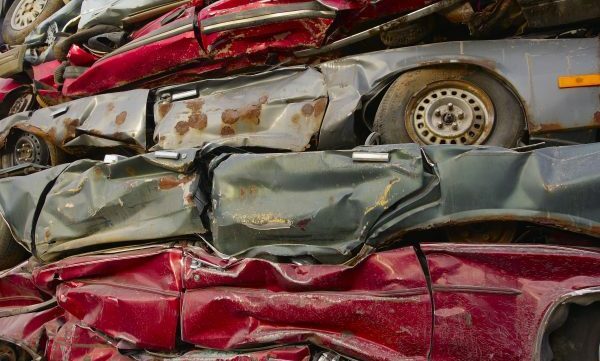 If you have a junk car or two on your hands, the fastest way to turn a profit is to sell them directly to a junk car buyer. They will pay you a fair price for your vehicles because they want the metal inside them. Vehicles contain all sorts of metal, both ferrous and nonferrous kinds. But what many people do not realize is that junked cars also contain various traces of precious metals. Continue reading to learn which precious metals are found in junk cars so you know what to expect when you are given an offer for your vehicle. The two most abundant precious metals found in a vehicle are gold and platinum. However, there are a few others in trace quantities. A vehicle that still retains a catalytic converter is more valuable than one that does not because catalytic converters are primarily compounded of platinum. It also contains traces of other precious metals and valuable alloys, such as palladium, rhodium, cerium, manganese, and nickel. As for gold, you can find it in any vehicle that contains a computer or circuit board. Any vehicle that has an onboard computer system that controls engine and other functions, it also contains printed circuit boards. Circuit boards are valuable to junk car buyers because they retain gold-plated contact “fingers” at the ends where the connectors slide on. These types of computers, called powertrain control module (PCM) or engine control unit (ECU), monitors a vehicle’s engine functions, such as anti-lock brakes (ABS), transmission shifting, fuel injection, ignition timing, emission controls, and more. Other components of a junk car that may contain precious metal are electronic. Electronics systems that contain circuit boards include GPS navigation, stereo systems, CD changers, electronic displays, screens, and more. With a few simple hand tools and years of experience, these circuit boards can be removed in a short amount of time. Call Zore’s Inc. at 317-247-8484 to sell a junk car for cash. We are premiere Indianapolis junk car buyers who pay cash on the spot for any motorized commodity, regardless of age or condition. We accept any and all vehicles, trucks, vans, boats, watercrafts, construction equipment, farming equipment, motorcycles, scooters, airplanes, and even used auto parts! Request a free estimate, today. If you are planning a road trip of some kind in the near future, you could use a quick review of some long-distance driving tips. Regardless of age or driving experience, these tips will give you the knowledge necessary to transport yourself, your passengers, and your cargo, safely and efficiently. Whether you are moving to a new state, traveling for work, or going on vacation, long-distance driving is something you might have to do once or twice in your life. And when the occasion arises, it is important that both you and your vehicle are fully prepared to travel hundreds or thousands of miles. Below are some vital long-distance driving advice that you can use and then pass along to friends and loved ones! The first thing you need to check before heading out on the road is the condition of your vehicle. It is important that your car or truck can actually make it to your destination, safely. Take your vehicle into your local auto repair shop for a routine service inspection. They will inspect your vehicle and provide all the necessary services to get it in optimal driving mode, such as bulb changes, fluid changes and refills, tire rotation and balancing, brake pad and rotor replacement, engine tune-up, and more. 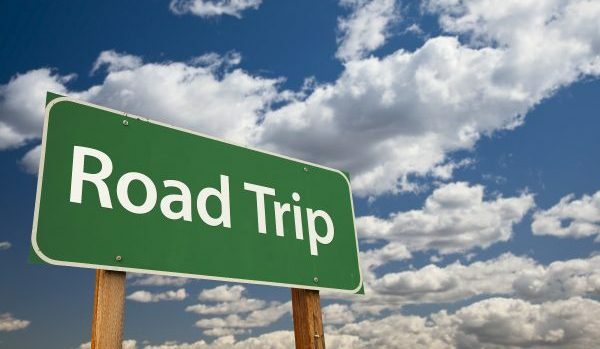 Once you know your car is in a safe and operational condition to drive a long distance, you can focus on the other preparations you must make for your upcoming trip. It is always a good idea to have an emergency roadside kit in your vehicle at all times. Before you leave for your road trip, be sure your kit is fully-loaded and ready to go. If you do not have a roadside emergency car kit, it is strongly encouraged to purchase one at a local home improvement or automotive parts store. You can also purchase them online. For long-distances, it is recommended to choose a deluxe or extended kit that contains several pieces of emergency equipment, such as jumper cables, car jack, blanket, water bottles, flashlight, first aid kit, medication (OTC pain medicine, allergy medicine, etc. ), batteries, small tools, triangle reflectors, road flares, and more. Another important part of preparing for a long-distance road trip is to plan your route ahead of time. Not only does this avoid getting lost and experiencing unexpected dilemmas, it will save you loads of time and money. Plan out your entire course on a map, and add in stops for snacks, meals, restroom breaks, hotels, and more. With all of these planned out, you will always know where you are headed and what to expect when you get there. It can also save you money on fuel since you won’t waste time driving around looking for places to stop for food or bathrooms. Part of planning out your journey should include provisions; so fill up the gas tank all the way, stock some coolers with snacks and beverages, and create a cozy interior with blankets, pillows, tablets, headphones, and anything else that will make the ride more comfortable for everyone. Call Zore’s Inc. at 317-247-8484 for affordable long distance towing and roadside assistance services in you can trust. Our licensed and insured wrecker operators provide punctual and prompt tow truck services throughout all of Central Indiana, 24 hours a day and 7 days a week! We also provide a wide range of municipal services, roadside wrecker and recovery services, and much more. Request a free estimate, anytime. 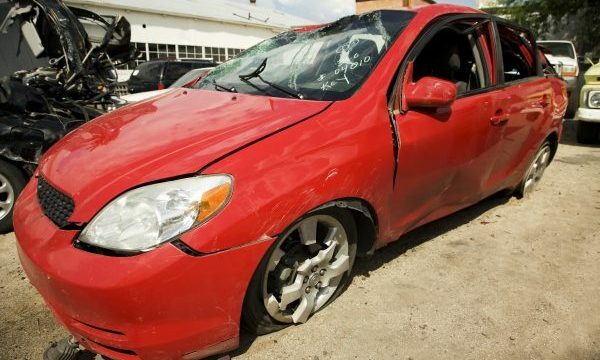 Can a Collision Body Shop Repair My Totaled Car? You were just in an accident, and luckily, you are okay. But the insurance company says your car is totaled. What can you do? Continue reading to learn your options for a totaled car, including what to expect from a collision repair auto body shop. To better comprehend the information provided by your insurance carrier, it helps to fully understand the meaning of a totaled car before moving forward with any repair or disposal decisions. Basically, your car is totaled because the cost to repair it back to its original condition prior to the accident would be higher than the current market value of the vehicle itself. For example, if your car’s pre-collision value was $1000, but the cost to repair all the damages is over that amount, your insurance company will deem the vehicle a total loss. A totaled vehicle is also called a “salvaged” or “total loss” vehicle. To assess the cash value of a car, insurance companies typically rely on vehicle valuation and automotive research companies like Kelley Blue Book® or NADA®, along with other third-party vendor databases. They may also use Certified Collateral Corporation® (CCC) values in your region. If your insurance company declares your vehicle a total loss, you have the option of making a claim and accepting the insurance money to put toward another vehicle. But if you insist on keeping and repairing the vehicle, the vehicle will be issued a salvaged title, also known as a “salvage certificate.” With a salvaged title, you cannot legally sell, drive, or register the vehicle in its totaled condition. Once you have your car repaired, you will need to apply for a new title before you can do any of these things. When you have a totaled car repaired, it will not have a clean title. Instead, it will be granted a “Rebuilt Salvage,” “Revived Salvage,” or “Reconstructed Salvage” title. This simply notifies the public that the vehicle has been extensively rebuilt. Furthermore, it can be a challenge finding an insurance carrier to insure a rebuilt title vehicle. If you do find a company to insure it, the premiums will be high. It is certainly possible to repair a totaled car, so long as you are willing to pay the money to get it done. Additionally, it can be a challenge finding an auto body shop willing to put in the time and labor for an extensive collision repair. Most often, a totaled car requires all new parts, including frames, doors, windows, lights, airbags, wheels, and internal parts. This can be quite expensive, and it can take months to complete. But for vehicles that have special meaning, this degree of time and money can be worth your while. Don’t Want to Repair it Anymore? 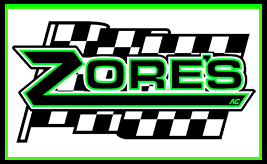 Sell it for Cash on the Spot at Zore’s Inc.! Call Zore’s Inc. at 317-247-8484 to sell a totaled car for cash on the spot in Indianapolis. 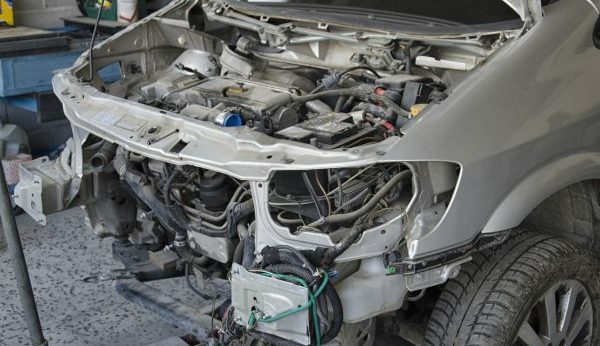 If you require collision repair, we also have an on-site auto body shop! You can even visit our auto parts store to purchase top-quality auto parts, and then have the parts installed on the very same day! We even provide towing services for cars that are too dangerous or unable to drive. Posted in Auto Body Shop	| Tagged Auto Body Shop Indianapolis, buy used auto parts Indianapolis, collision repair totaled car, Rebuilt Titles, repair a totaled car, sell a totaled car	| Comments Off on Can a Collision Body Shop Repair My Totaled Car? When your car breaks down or will not run any longer, there are better alternatives than purchasing a brand new engine, or shopping around for a new vehicle altogether. Today, rebuilt car engines are becoming a popular alternative to these two expensive options. However, very few drivers are aware of the benefits associated with installing a remanufactured engine. Continue reading to learn more about used auto parts, including how a rebuilt car engine is a sufficient alternative to purchasing a new car or motor. The main benefit of purchasing a rebuilt car engine is its low cost. Not only are rebuilt engines cheaper than new ones, they are priced at an affordable rate for anyone on a budget. So even though a new engine is thousands of dollars, a remanufactured one is cheap in its own right. A rebuilt engine is a used motor that has been dismantled, cleaned, upgraded, re-powered, and reconditioned. Many times, new auto parts are used to replace old, worn out ones; such as gaskets, valves, crankshafts, and more. You can expect to pay upwards of one thousand dollars or more for a new engine, and even more for a new car; while on the other hand, a remanufactured engine will only set you back a few hundred dollars or so, depending on the make and model of your vehicle. Popular make and model rebuilt engines are Toyota, Honda, and Ford. The other great advantage of purchasing and installing a rebuilt car engine has to do with OEM specifications. Before, used and reconditioned auto parts did not meet the OEM (original equipment manufacturer) guidelines and specifications; but today, many rebuilt engines are OEM approved! With OEM approved remanufactured car engines, vehicles are more likely to operate smoother and more efficiently. Call Zore’s Inc. at 317-247-8484 to buy used auto parts in Indianapolis, Indiana. Our inventory includes a vast selection of used auto parts, new auto parts, OEM auto parts, domestic and foreign auto parts, late model parts, and new model parts at the most competitive prices in town. All of our used auto parts come with a FREE 90-Day Recycled Auto Part Warranty, and when you purchase used auto parts through us, you can get your parts installed on the same day at our on-site auto body shop. Request an estimate, today. The engine is arguably one of the most significant mechanisms in a vehicle. The engine is like the heart of the vehicle, so when it is not functioning properly, neither is the rest of the car. This is why routine maintenance and parts replacement are so important to the overall performance value, safety, and longevity of your car. This same principle applies to all other commodities and machines that operate on a motor, such as lawn mowers, jet skis, boats, construction equipment, farming equipment, and more. Regardless of what they make “go”, all engines require routine maintenance in order for them to remain in good condition. One of the most common mistakes drivers make is ignoring engine problems. This is what the Check Engine Light is there for; it warns you when something is not quite right with the vehicle. Never ignore an illuminated check engine light. If there is something malfunctioning inside your engine, it can potentially cause irreversible damage that could have been avoided if addressed earlier. If too much damage has occurred, you could be required to replace the engine entirely. Having the check engine light diagnosed is worth avoiding premature engine replacement and repair. 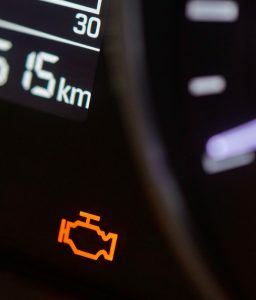 The Check Engine Light is referred to as a malfunction indicator lamp (MIL) in the automotive industry. When a vehicle’s Check Engine Light is illuminated, it means something is wrong. These lights are programed and designed to give warning when anything is malfunctioning or interrupted. So when the Check Engine Light is illuminated or flashing, address it immediately by scheduling an inspection with a licensed mechanic. There several reasons why a Check Engine Light can come on, all of which range on a spectrum of minor and minuscule, to major and expensive. If a Check Engine Light isn’t addressed in a timely manner, a car owner can only expect further damage to their vehicle, which also diminishes safety while driving. Furthermore, whatever it is that is causing the Check Engine Light to come on will only get more expensive and tedious to repair as time goes on. As mentioned, there are several reasons for a CE light to illuminate or flash. The less-serious reasons include electrical problems, loose gas cap, or faulty spark plugs. 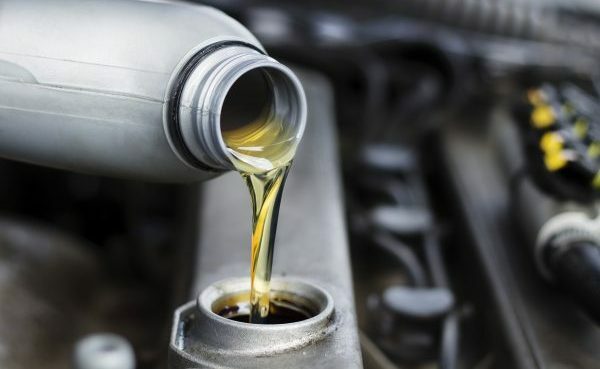 The more serious and costly reasons could include a wet or flooded engine, fuel injection problems, bad O2 sensors, cracked manifolds, blown gasket head, and more. It is better for a professional to diagnose the problem, whatever it may be. They retain the proper industry training, equipment, and resources to effectively identify and repair an engine problem. Be sure to hire a reputable and experienced auto motive repair technician. Zore’s Inc. retains an extensive automotive parts inventory stocked full of RUST-FREE new and used products at the most competitive prices in town. We offer a wide range of new and used car parts for all make and model vehicles, including OEM auto parts, aftermarket parts, import auto parts, domestic auto parts, late model parts, new model parts, and refurbished parts. Best of all, having an auto body shop on-site has been a huge advantage for our customers because they can visit our Indianapolis auto parts store, purchase top-quality auto parts, and then have the parts installed on the very same day! We even provide towing services for cars that are too dangerous or unable to drive. Call 317-247-8484 to learn more about our company services, prices, locations, and more. We are happy to answer your questions and provide free estimates, anytime!